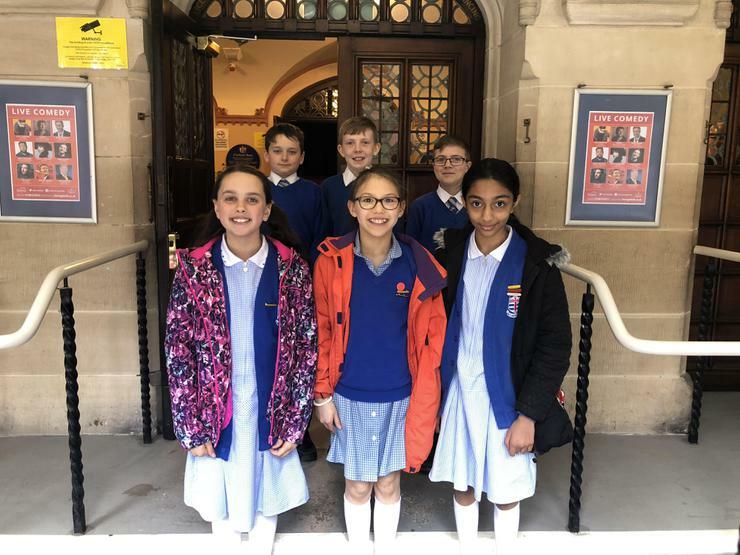 Our School Council consists of two representatives from Years 2 to 6. 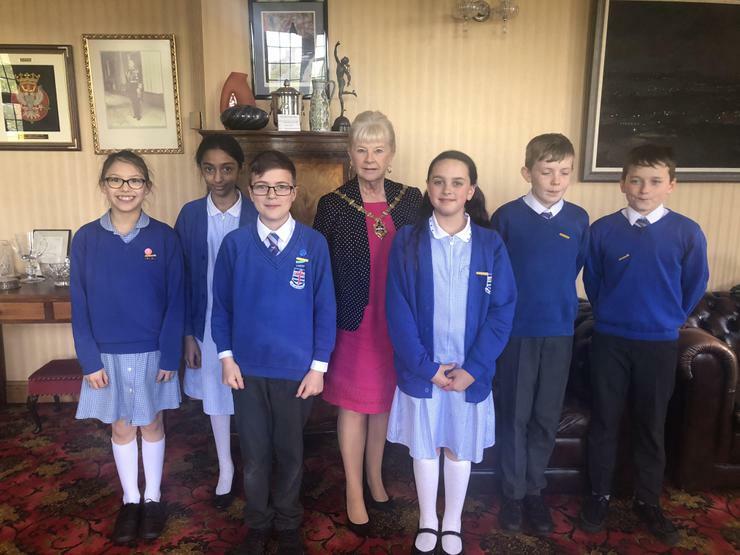 They meet with Mrs Finnegan to discuss issues that affect them in school and share ideas about health, safety and things they would like to change or improve in our school. 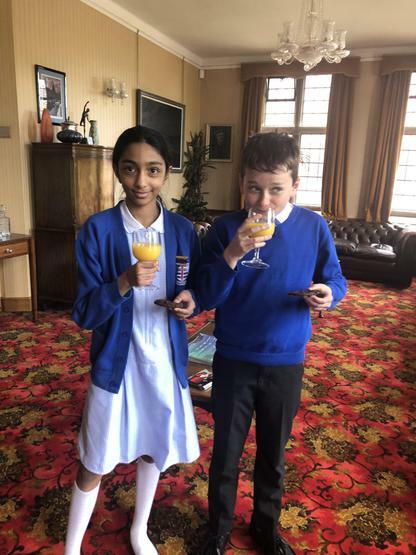 The Chairperson and secretary are elected members of Year 6. 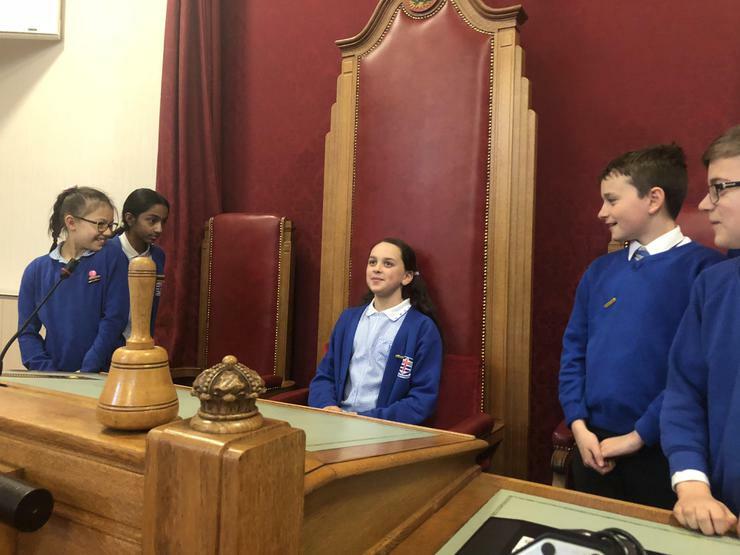 They are involved in decision making in school. 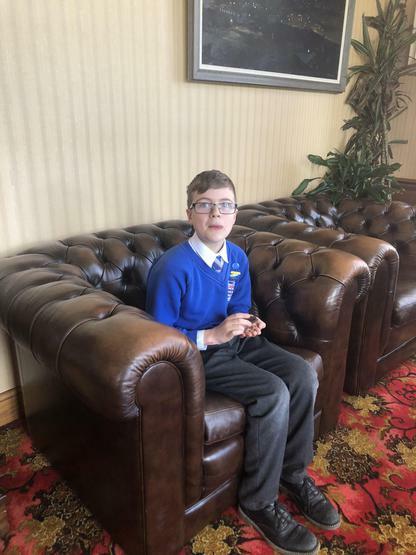 It is our school and we take responsibility for making sure that every child is heard. 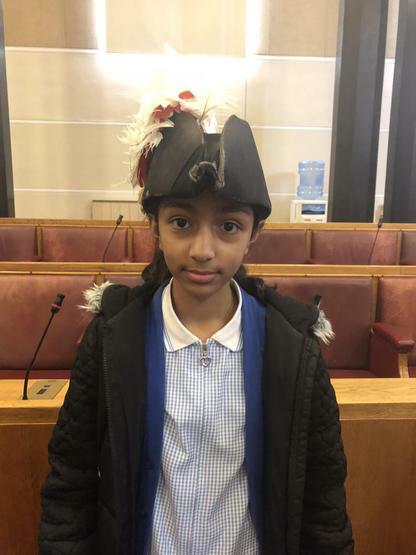 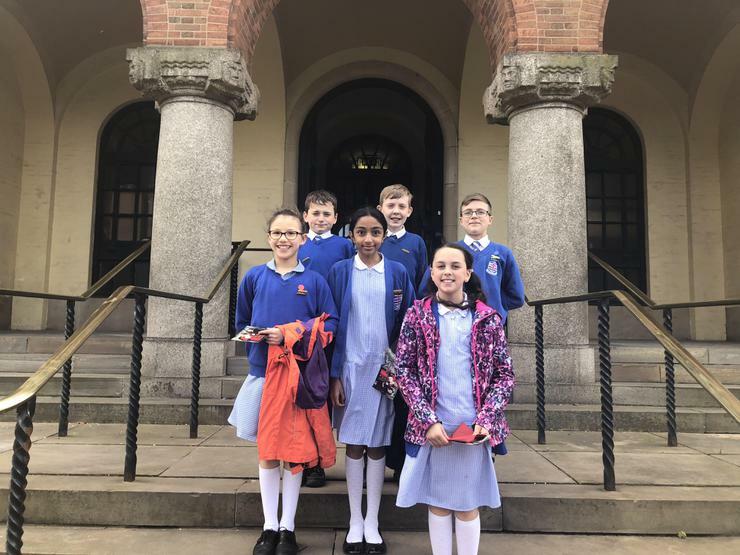 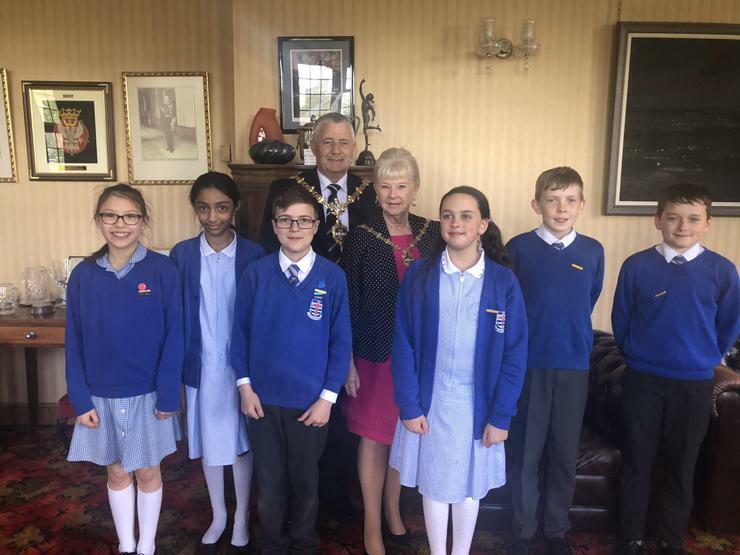 Today, the Y5 & Y6 Councillors met the Lord Mayor at Dudley Council House. 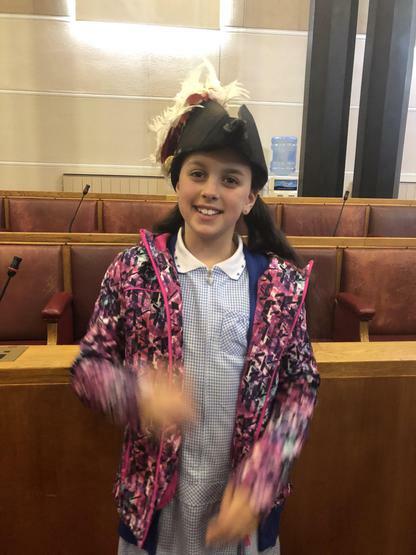 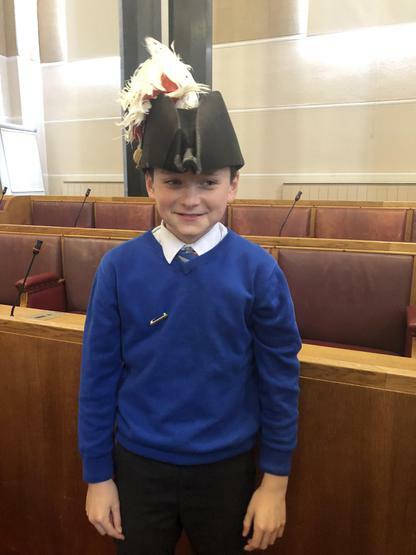 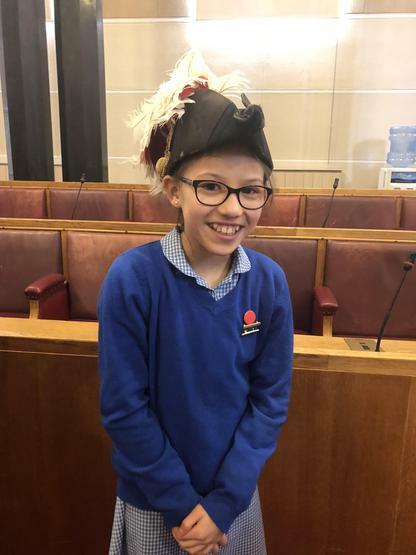 Councillor Laura Taylor, who came to school to talk with the school council in March, arranged for the children to visit the Lord Mayor & sit in his official chair in the Council Chambers. 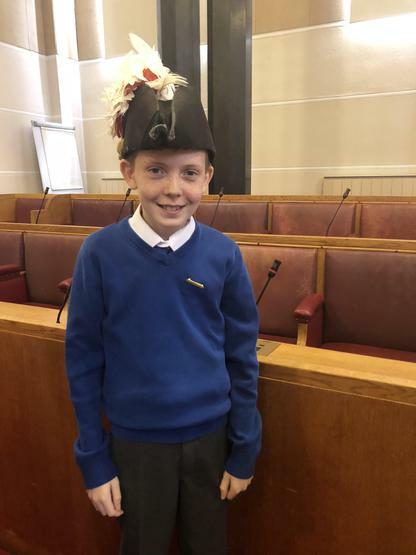 The children had the opportunity to ask many questions about his official clothes and chains, he wears when he attends official event. 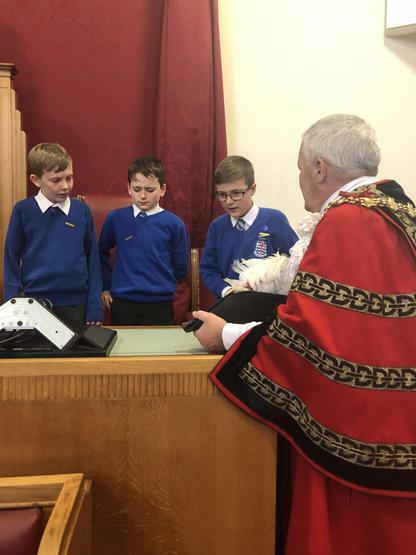 Councillor Dave Tyler was officially sworn in on 18 May 2017 as the first citizen of the borough at a civic ceremony in front of a packed council chamber. 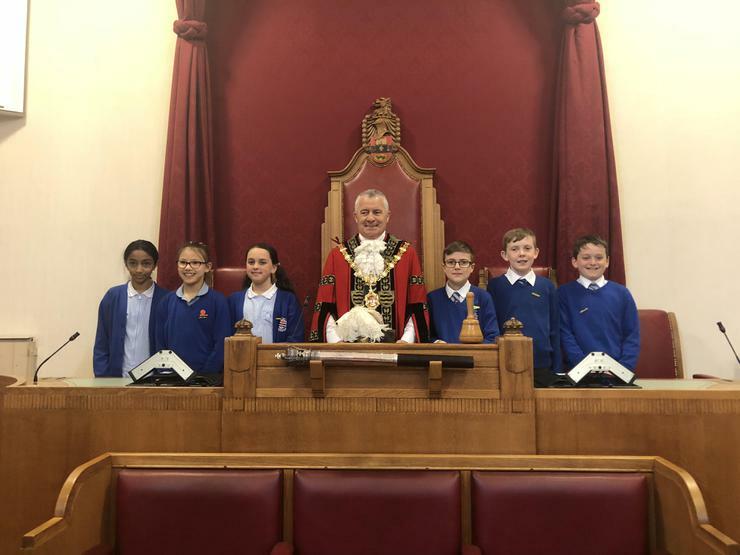 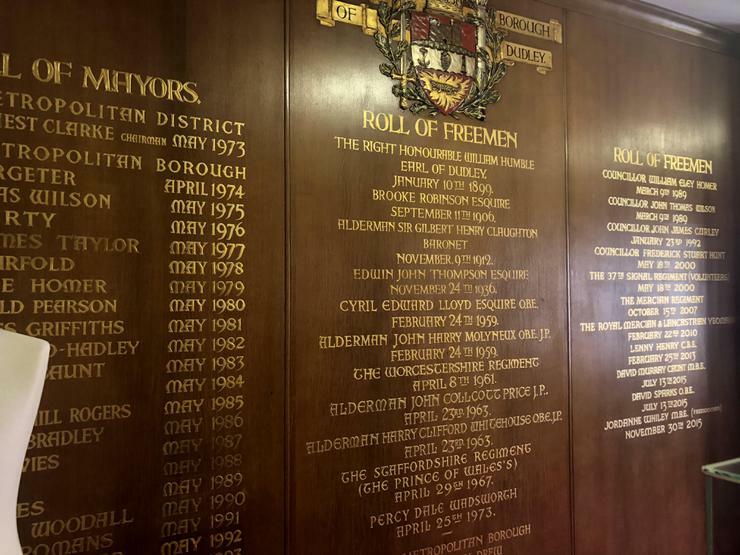 “It is a huge honour and a privilege to be Mayor of this borough and something I am proud to take on. 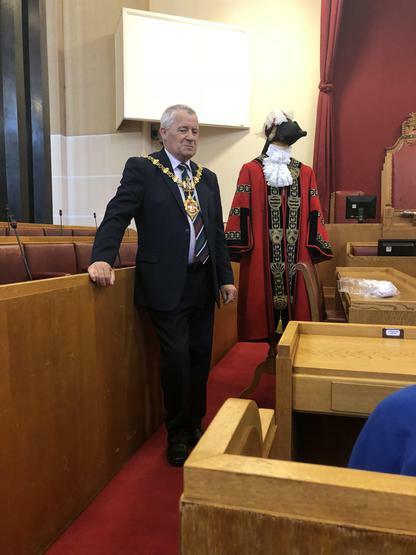 Councillor Tyler also named his wife Barbara as Mayoress who will accompany him on civic visits and fly the flag for the borough. 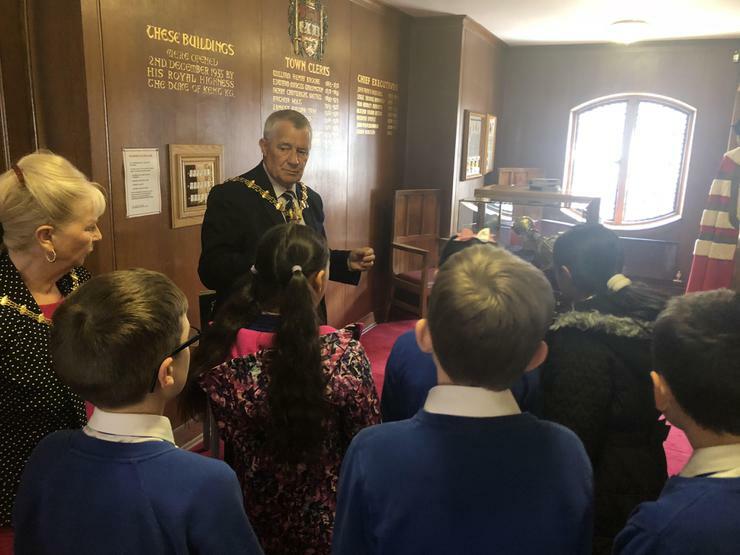 Mrs Finnegan & the children had a great afternoon & even had time for tea & biscuits in the Lord Mayors Office!